The Casino Borghese ­– today the Borghese Museum and Gallery – was commissioned from Flaminio Ponzio by Pope Paolo V's nephew, Cardinal Scipione Caffarelli Borghese, who wanted a suburban villa to house his art collections. It was completed after Ponzio's death by Giovanni Vasanzio in 1613–15. Casino Borghese lies inside a great park and the garden is divided into three precincts divided by a series of spaces and buildings: the Casino, three Secret Gardens, the Aviary, the Meridiana Pavilion. Cardinal Borghese's antique collection was augmented by archaeological excavations on the family property and by acquisitions such as the collections of Ceoli and Tommaso e Giovan Battista Della Porta. The cardinal was uninterested in medieval art, but was very interested in renaissance and contemporary art. He used his powerful position to increase his collection by any means, including confiscation. He imprisoned Domenichino to obtain his La Caccia di Diana and ordered the secret removal to Rome of Raphael's Deposition from the Baglioni Chapel in Perugia. Scipione commissioned works from the most important contemporary artists: Bernini, Caravaggio, Guido Reni, Guercino, Lanfranco, Domenichino, Algardi, Cavalier d'Arpino, Rubens, Lavinia Fontana, Nicolas Cordier and Antonio Susini. He also bought many paintings from the Ferrara School. With Scipione the renaissance concept of the aristocratic patron was transformed into the 'modern' collector. After the marriage of Paolo Borghese and Olimpia Aldobrandini (1682) part of the Aldobrandini inheritance was incorporated in the Borghese collection. 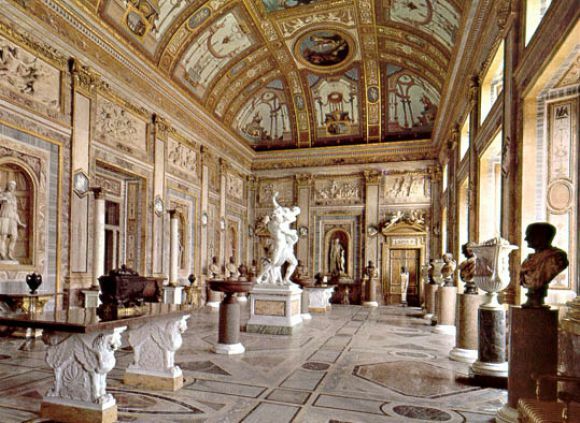 Between 1770 and 1793 Marcantonio IV Borghese renewed the villa in neoclassical style. His son Camillo married Pauline Bonaparte and was persuaded by his brother-in-law, Napoleon, to 'sell' him (1807) a considerable part of the archaeological collection, which now is in the Louvre; fortunately Camillo also bought many works such as Correggio's Danae (1827) and Guercino's Prodigal Son and commissioned from Canova (1805–8) a sculpture of Pauline as Venus Victrix, a neoclassical masterpiece. Gaps caused by the 'sale' were filled with new finds from recent excavations and works from various Borghese residences. 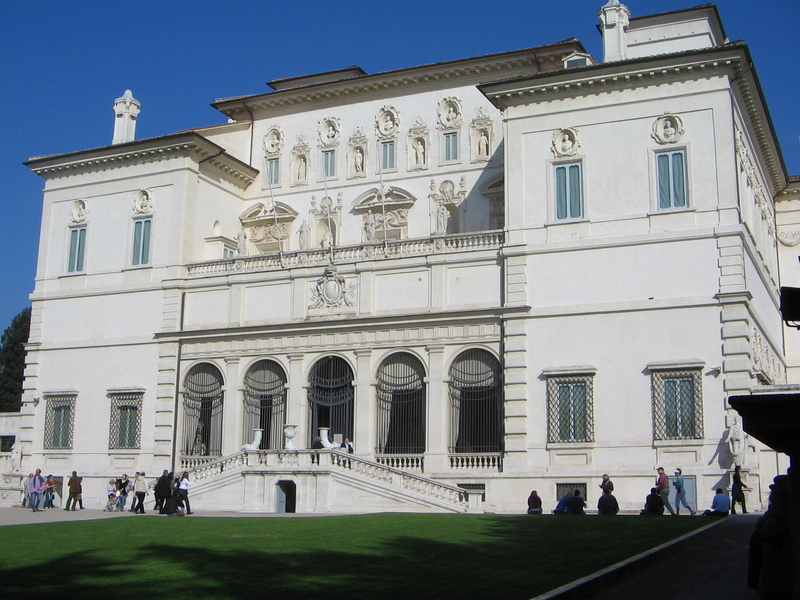 In 1902 the Casino Borghese and its collection were acquired by Italian Government. Among the great pieces in the collection are: Titian's Sacred and Profane Love; marble sculptures by Bernini including Apollo and Daphne, Pluto and Proserpina, David, Aeneas and Anchises; paintings by Caravaggio including Boy with a Basket of Fruit, Madonna of the Palafrenieri and David with the Head of Goliath; and many works by Raphael, Rubens, Pinturicchio, Perugino, Titian, Domenichino, Carracci and many others.